Harry (aged 10) is such a bookworm and will happily spend hours with his nose in a book. I just wish the same could be said for his younger brother and sister. We have a rule where the kids must read in bed for 30 minutes before lights out but most nights I'm pretty sure Heidi (7) and Jack (6) prefer to mess around. They do read their school books without any complaints and Heidi enjoys reading First News with us at the weekend but I still feel like I need to do more to encourage them both to read for pleasure. Like most children their age, Jack and Heidi love it when I let them play on my iPad. So when eBookadabra got in touch and asked if we'd like to review their service, I was intrigued and did think that it would encourage Heidi and Jack to read a bit more so I signed up to a 3 month trial. 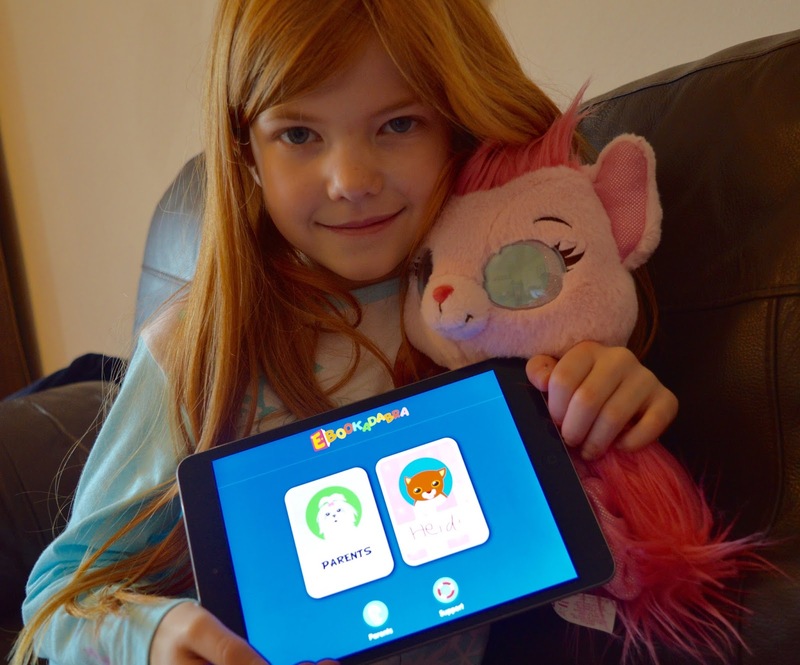 Ebookadabra is a reading app aimed at children aged 3-7 years. 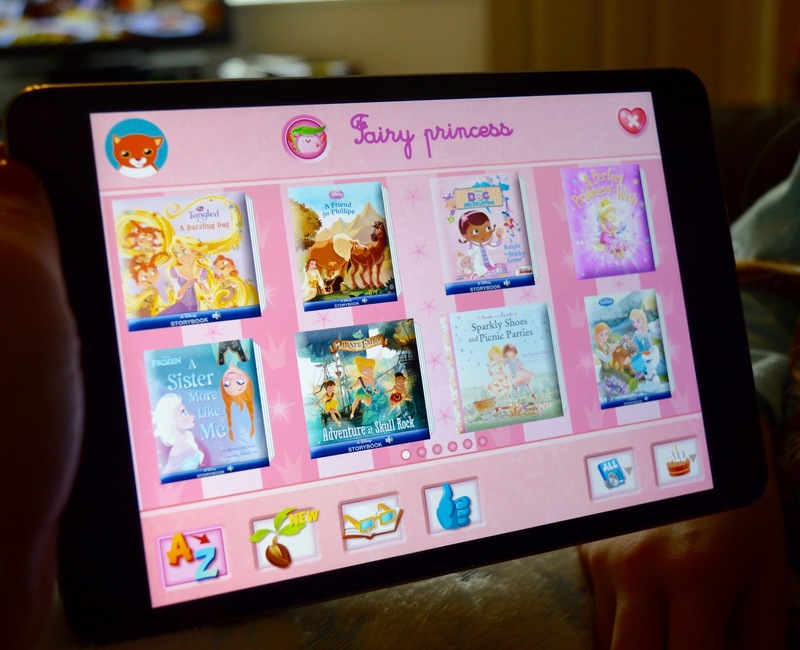 It's not just 'another reading app' though - this one is a partnership between the likes of Disney, Harper Collins, Parragon and a range of leading publishers. You know when you have top names like this on board, you are in good hands. The app is still in the early stages but I have to say I have been impressed so far (as have the kids). In the coming months I have been told to expect hundreds of new books and features, but for now, here's what we thought of the app as it stands. The app is super simple to set up. Simply download eBookadabra from the App Store here for just 99p per month (normal price is £5.99 per month so I'd grab this deal whilst you can). You can set up a profile for up to four children across unlimited devices so it's very good value if you're a parent of multiple kids. We have 2 iPads and 2 old iPhones that the kids use in the house and I like that Jack and Heidi can access eBookadabra from any of these devices. 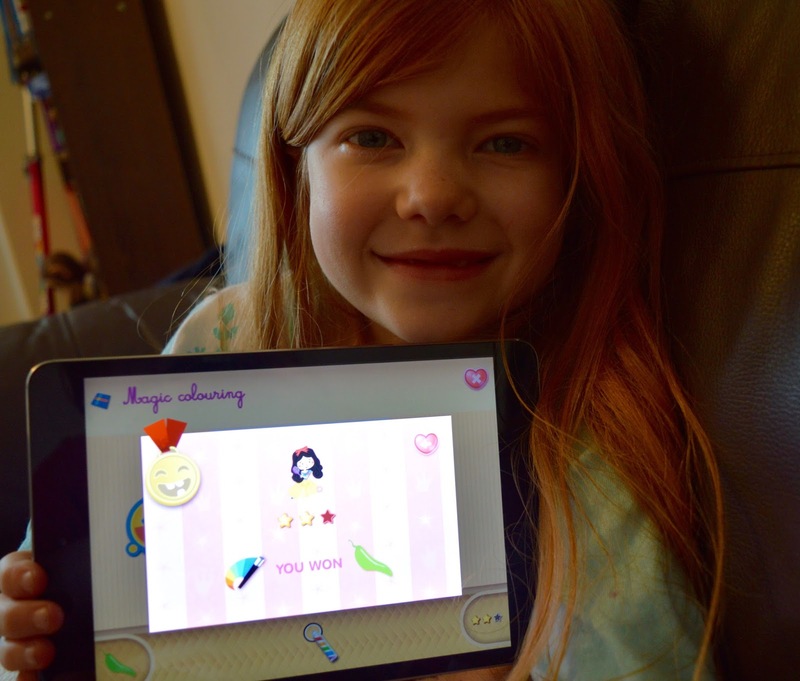 Heidi was able to set up the app with minimal supervision and selected a profile background and picture. I like that she was asked to draw her name too - nice touch. You know what kids are like - they're pretty intuitive and Heidi and Jack were both able to flick through the books and activities without any supervision. Films & TV - Stories based around Frozen, Finding Nemo, Up, Brave, The Lion King, Madagascar, Monsters Inc, Cars, Postman Pat, Toy Story, Shrek & more. Aliens & Monsters - Dragon Jelly, How to Train Your Dragon, Home, Monster Max's Shark Spaghetti & more. Classic Tales - All of our favourites including The Three Little Pigs, Rapunzel, Snow White & more. Fairy Princess - Doc McStuffins, Perfect Princess Wish, Cinderella, A Little Princess & more. There are adventure stories, dinosaur stories, rhyming stories, animal stories, stories about witches and wizards and loads more. Your children will never get bored! Another feature I like about eBookadabra is that it actually does encourage reading. 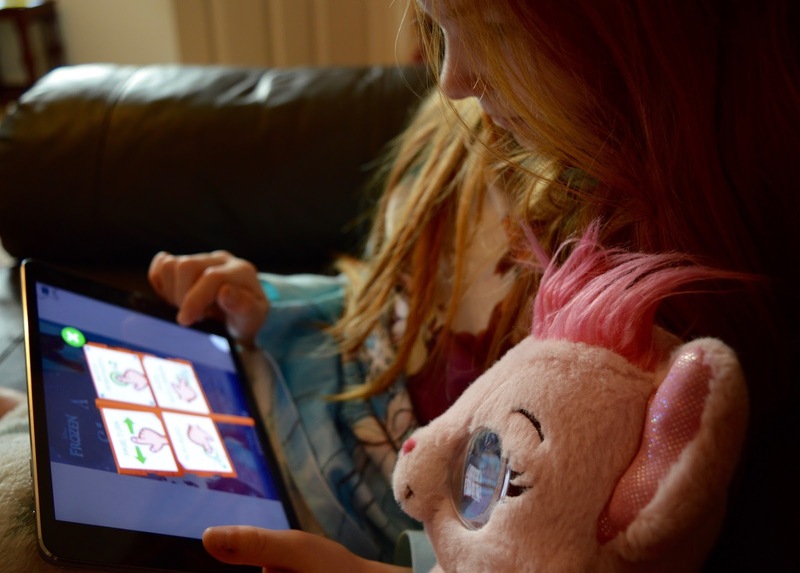 Not only do the kids love 'playing' with the iPad but they are also rewarded with educational games that are only unlocked once they finish reading a story. This is a fab incentive and so far Harry and Jack have enjoyed magic colouring, dot to dots, crosswords and collecting stickers. In the words of Heidi 'this is so much fun'. This app is still in it's early stages and because of this, if you download it now, you'll be eligible for an introductory offer of 99p per month for as long as you stay subscribed. The normal price is £5.99 per month so this feels like a massive bargain to me. You can download from itunes here. The app is available on iOS iPad and iPhone with software versions 8,9 and 10 and will be available on Android soon. You won't be tied into any contract and if you wish to cancel at any time simply head to the App Store - Subscriptions - Turn off auto renewal. 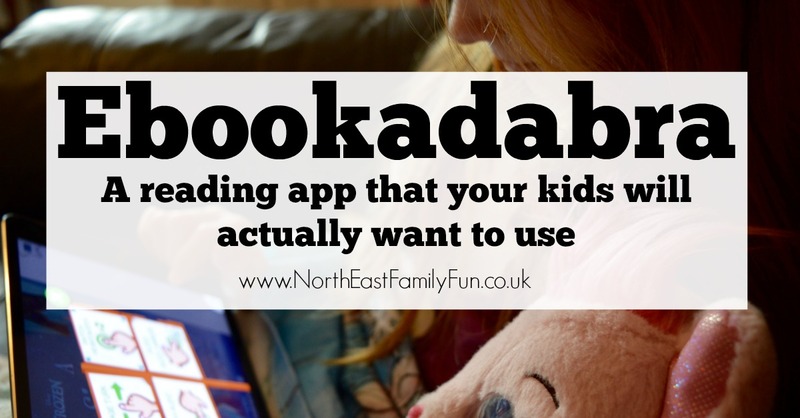 We have been so impressed with eBookadabra. The kids have enjoyed using it and it's the first time I've noticed Jack take any sort of interest in reading other than what he 'has' to do. I don't feel guilty about this kind of screen time and although for me it doesn't replace reading a proper book at bedtime, it is an excellent way to compliment and encourage their reading. The real selling point of this app is that it is filled with books kids actually want to read - there's no 'Kip goes to the Park' here. Heidi and Jack will use the app for 30 minutes at a time before I tell them it's time to turn it off - we've been using this for a few weeks now and so far they have not complained they have been bored or don't want to read. A key feature I love is being able to use this app offline. We often travel and spend a lot of time in the car/staying at places with no WiFi - apps that don't require connectivity, always help in these situations. As the app is in it's early stages, I did expect some glitches but in the whole time we've been using it, it has only crashed once (which is more than can be said for my Facebook app at the moment). 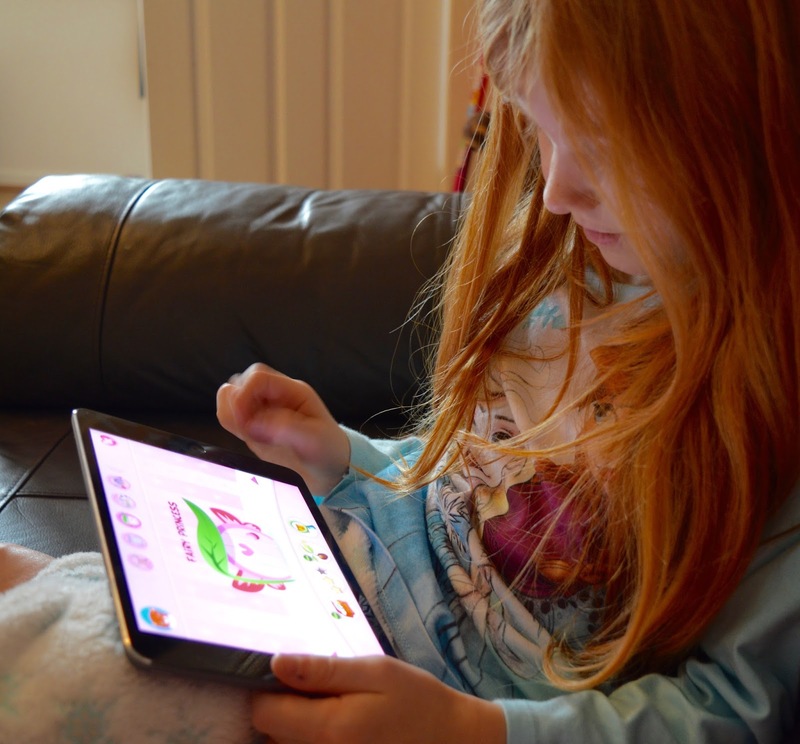 We highly recommend Ebookadabra for children aged 3-7 years. You can find out more over on the Ebookadabra website here. I'm all in favour of giving children the life-long pleasure of reading for fun. I'll check this out for my niece and nephew.